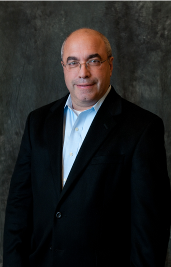 Bob Prieto is a senior executive effective in shaping and executing business strategy and a recognized leader within the infrastructure, engineering and construction industries. Currently Bob heads his own management consulting practice, Strategic Program Management LLC, and previously served as a senior vice president of Fluor, one of the largest engineering and construction companies in the world. He focuses on the development and delivery of large, complex projects worldwide and consults with owners across all market sectors in the development of programmatic delivery strategies. He is author of eight books including “Strategic Program Management”, “The Giga Factor: Program Management in the Engineering and Construction Industry” , “Application of Life Cycle Analysis in the Capital Assets Industry”, “Capital Efficiency: Pull All the Levers” and, most recently, “Theory of Management of Large Complex Projects” published by the Construction Management Association of America (CMAA) as well as over 570 other papers and presentations. Bob is a member of the ASCE Industry Leaders Council, National Academy of Construction, a Fellow of the Construction Management Association of America and several university departmental and campus advisory boards. Bob served until 2006 as a U.S. presidential appointee to the Asia Pacific Economic Cooperation (APEC) Business Advisory Council (ABAC), working with U.S. and Asia-Pacific business leaders to shape the framework for trade and economic growth and had previously served as both as Chairman of the Engineering and Construction Governors of the World Economic Forum and co-chair of the infrastructure task force formed after September 11th by the New York City Chamber of Commerce. Previously, he served as Chairman at Parsons Brinckerhoff (PB). Bob can be contacted at [email protected].